Discover everything you've ever wanted to know about birds! Explore stories of their evolution, ecology, behavior, and form and function, meet Field Museum scientists who study birds, and check out photo galleries, videos, interactives and more. Check out the “Early Bird” tree-of-life project, a large-scale, cooperative effort among five institutions in the U.S. to determine the evolutionary relationships among all major groups of birds. Examine the world-renowned bird collections at The Field Museum. The Division of Birds houses the third largest scientific bird collection in the United States and contains over 480,000 specimens, 21,000 egg sets, and 200 nests! 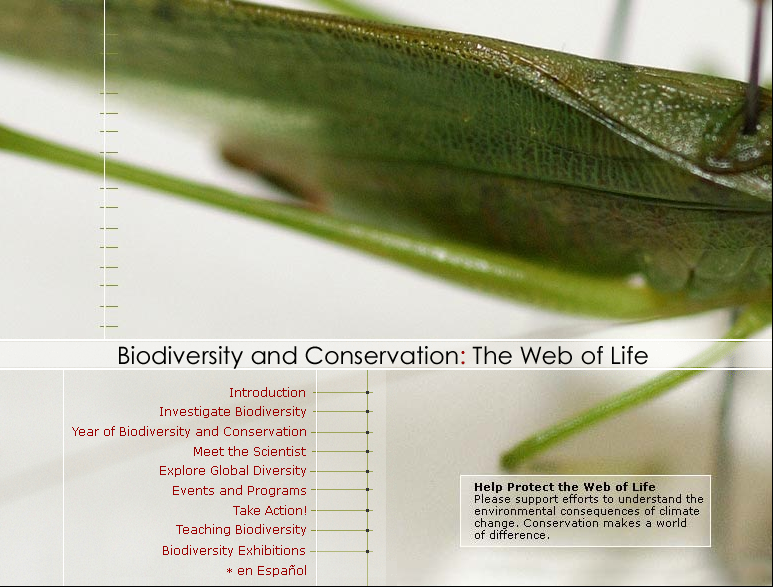 Learn about the fragile web of life we call “biodiversity,” and examine the causes and possible solutions to some of the environmental problems that plague our planet. Explore The Cornell Lab of Ornithology's website—one of the world's best resources for Neotropical birds. View and contribute text, photos, audio, video, maps, translations, and sightings about birds living in a region of the New World that stretches from central Mexico southward through Central America. Listen and share bird sounds from around the world! Search through the growing collection, identify or discuss unknown sounds, and download freely. Find out more about Amazonian birds while examining the impact of emerging trends in climate, technology, economics, and finance on conservation and development.